The image is "Cameo 7" from Fitztown. I really loved colouring her. I bought in "the works". The strip across the middle, is from an offcut of a friends old wallpaper! The butterflies are Martha Stewarts punched butterflies. You can't see so well on the pic, but there are bits of gold glitter in the rose in her hair. The sentiment took the longest time to come up with. managed to make this card quite humorous, with the addition of the sentiment. A beautiful card with a lovely layout. And the backing paper is so pretty. 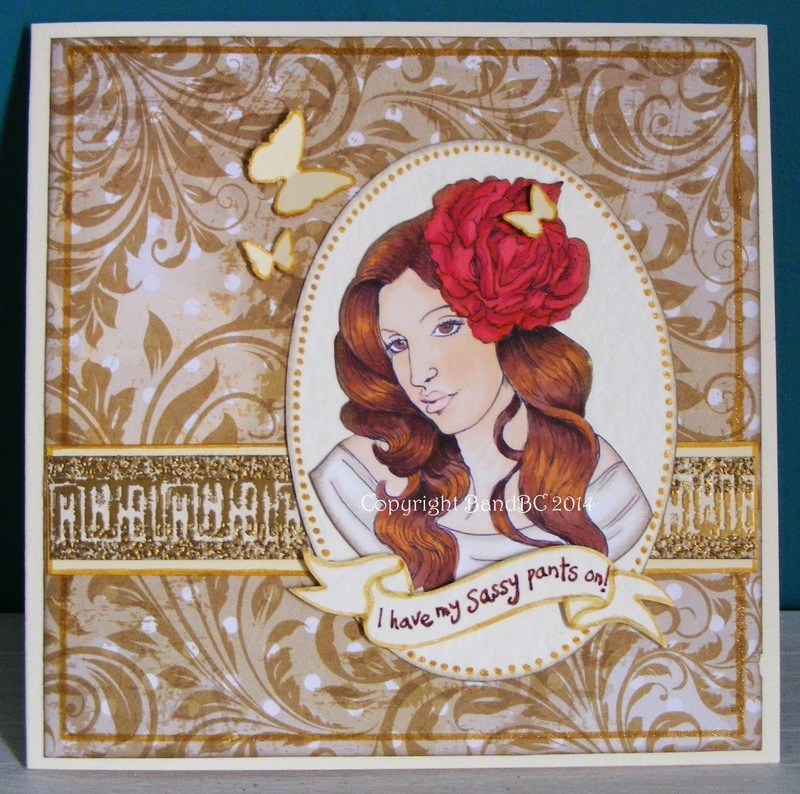 Beautiful card, love the shading on the hair.